In case you've been living under the rock lately (like me), Gionee Elife S5.5 was officially released in the Philippines. This 5-incher sports a 1.7 GHz octa-core processor and a stunning 1080p display with 441ppi pixel density. So what makes this worker unique from any full HD devices in market? Well aside from the fact that is marketed to be the "slimmest" smartphone with its 5.5-millimeter depth, it is also treated with glass construction (a la iPhone 4s) on both front and back panels. You'll also get a beefy 2-gigabyte of RAM and 16-gigabyte on-board memory. Photogs will be delighted with the 13-megapixel rear camera with Sony sensor and with the 5-megapixel affair front camera. The capable set of connectivity (HSPA+, WiFi, GPS, A-GPS and USB OTG) is also a breath of fresh air for those wanting to have more options to expand (or access) their multimedia collection. 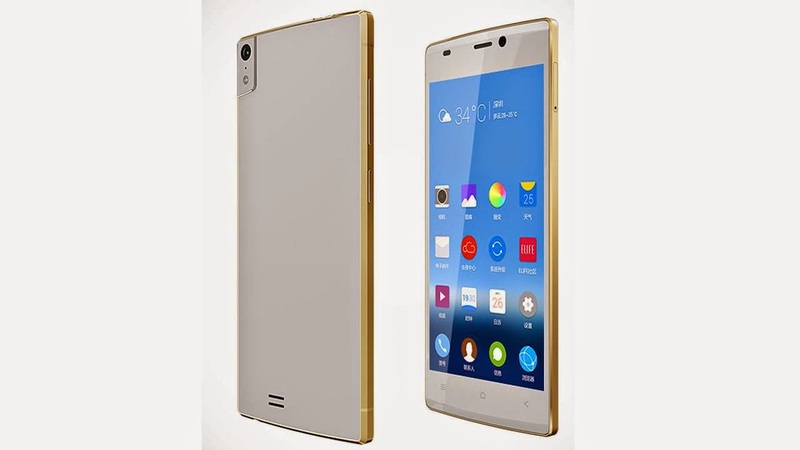 The Gioness Elife S5.5 is be powered with the company's forked version of Android 4.2 called the Amigo OS. And the 2,300 mAh battery could give you an ample time away from the wall outlet. 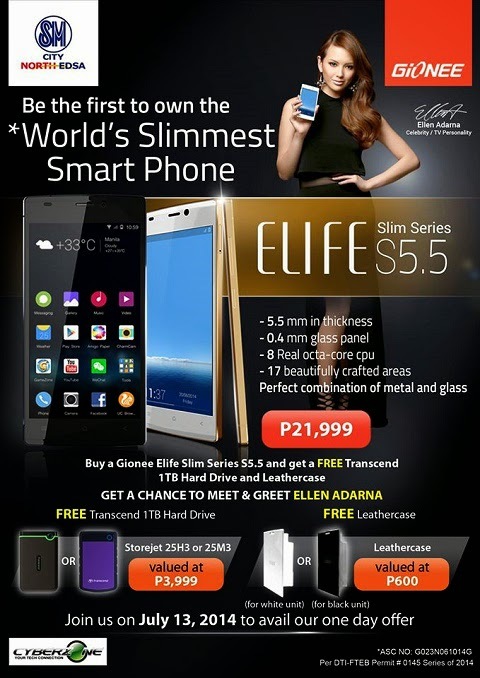 The Elife S5.5 is now available with a Php 21,999 price tag. Check out the rest of the specs below.